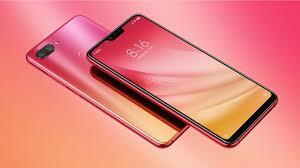 Xiaomi is the leading smart phone manufacturing company, which has launched the smart phone, Mi 8 Lite in Pakistan and this mobile is the part of flagship Mi 8 series of the company. This mobile phone has the glass back like mirror gradient finish. It is added with 24 MP Sony IMX576 sensor on front and this smart phone is powered by Qualcomm snapdragon 660 AIE SoC and it will meet the requirements of the people, who love to take wonderful images. The smart phone has great design and it brings out effect of light on the natural colors. The glass back has the advanced NCVM color process and it is mesmerizing mirror like gradient finish. The smart phone has IPS LCD full screen display with the powerful resolution and it is protected by corning gorilla glass 5 on the front side. Xiaomi Mi 8 Lite Launches in Pakistan. This mobile phone has 24 million pixels and it has front facing Sony IMX576 sensor on Mi 8 Lite, which helps to get images in detail. The sensor of the handset is provided with super pixel technology to gather the information of four pixels into one large pixel and the clarity is improved. The rear AI dual camera uses the Sony IMX363 as the main sensor and it is provided in the market with large 1.4m pixels, which help is lowering down the noise and the Dual Pixel autofocus is used to improve the focusing speeds. The smart phone is powered by Qualcomm Snapdragon 660 octa core SoC with Artificial Intelligence Engine, which is designed for the high performance and great power efficiency. Now you can enjoy the smooth, lag-free experience, when you watch the movies, browse the web or play the games. Mi 8 Lite is powered by the powerful battery of 3350 mAh and it supports Qualcomm Quick Charge and the AI face unlock and rear fingerprint sensor is provided to secure the mobile phone. 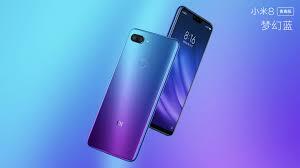 It is expected that this smart phone is launched in Pakistan on 6 February 2019 in Aurora blue and the price of the mobile phone will be announced soon.